Heart rate control and heart rate monitors are popular on many exercise machines including treadmills, elliptical trainers, and stationary bikes. Learn how to use these features to get a better workout. Heart Rate Monitor: A treadmill with a heart rate monitor reads your heart rate by connecting with pulse sensors on the side rails or a chest strap sensor. It gives you data but doesn't control your workout. Heart Rate Control: Heart rate control dictates the extent of your workout by controlling the exertion level of your treadmill. The speed and incline will change based on your heart rate to keep your exertion at the level desired for the workout. To get an optimum workout, it is important to pace your exercise. You want your heart rate at the proper intensity level for an extended period of time. If your heart rate gets too high, your activity can become counterproductive. If it is too low, you are not getting any substantial health benefits. That is why one of the most effective methods for fitness training is through monitoring and controlling your heart rate. This is particularly true when striving for cardiovascular goals. Whether you want to shed a few pounds, train for a marathon, or just feel good about yourself, heart rate training and control can optimize your workout. Handgrip Control: Treadmills with handgrip heart rate control require holding on to the sensors located on the side rails. It is awkward for walking, and just not feasible for jogging. Holding onto the handrails is bad for walking posture and is discouraged. Wireless Control: With wireless control, you attach a sensor strap around your chest, which transmits your heart rate to the console. This, in turn, controls the intensity of your workout by keeping your cardio exercise within a predetermined heart rate. The Healthy Heart Zone: 50 percent to 60 percent of your individual maximum heart rate. This is a safe, comfortable zone reached by an easy walk. This is the best zone for people who are just starting to exercise. This zone has been shown to help decrease body fat, blood pressure, and cholesterol. The Temperate Zone: 60 percent to 70 percent of your individual maximum heart rate. This zone provides the same benefits as the healthy heart zone, but is more intense and burns more total calories. This zone is achieved through a faster walking speed or a slow jog. The Aerobic Zone: 70 percent to 80 percent of your individual maximum heart rate. This zone will improve your cardiovascular and respiratory system and strengthen your heart. It is achieved through a steady jog. The Anaerobic Threshold Zone: 80 percent to 90 percent of your individual maximum heart rate. This is a high-intensity zone is achieved through a "burning" run. The Redline Zone: 90 percent to 100 percent of your individual maximum heart rate. This zone is the equivalent of running full out and is often used in interval training. This zone should be approached with caution and can lead to injuries when sustained for a long period. Edwards suggests that after determining your maximum heart rate, you can improve your fitness by exercising in several different zones. You alternate in those zones to increase your cardiovascular fitness and vary your exercise regimen. This is known as heart zone training. Depending on the treadmill model, you can either have the heart rate control maintain a consistent and targeted heart rate, or you can also set it for interval heart rates, training in different zones. You can program the treadmill for desired workouts that vary the heart rate to your desired goals. The programs available with heart rate control can vary. Some treadmills come with just one heart rate program while high-end models can have a variety of programs like hill training, intervals, and extreme heart rate. When losing weight and improving your cardiovascular health, it all comes down to your heart rate. Monitoring your heart and working out within zones will enhance your overall health and physical performance. If you are going to invest in quality fitness equipment, consider the heart rate control feature. Heart rate control becomes your personal trainer. By monitoring your heart rate and adjusting your workout accordingly, you stay within your desired goal and avoid over or under exerting yourself. 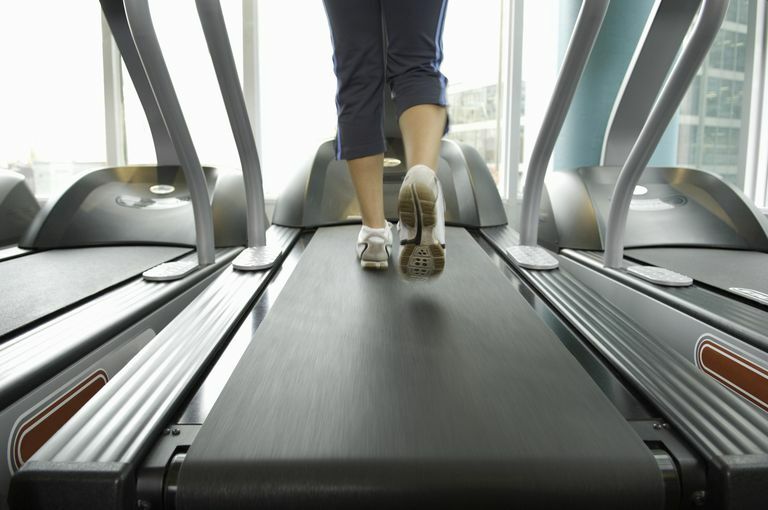 It takes your treadmill workout to an optimum level. You should consult your physician before starting a new exercise program. He can assist you in determining a safe and healthy heart rate zone for you to initially maintain. You may have a treadmill with heart rate control available at your gym or health club, or you may consider buying a treadmill with heart rate control. Brookreson N. Using Heart Rate Monitoring for Personal Training. American College of Sports Medicine. https://certification.acsm.org/blog/2015/july/using-heart-rate-monitoring-for-personal-training. What Is the Aerobic Exercise Zone? What Does Resting Heart Rate Have to Do With How Fit You Are?